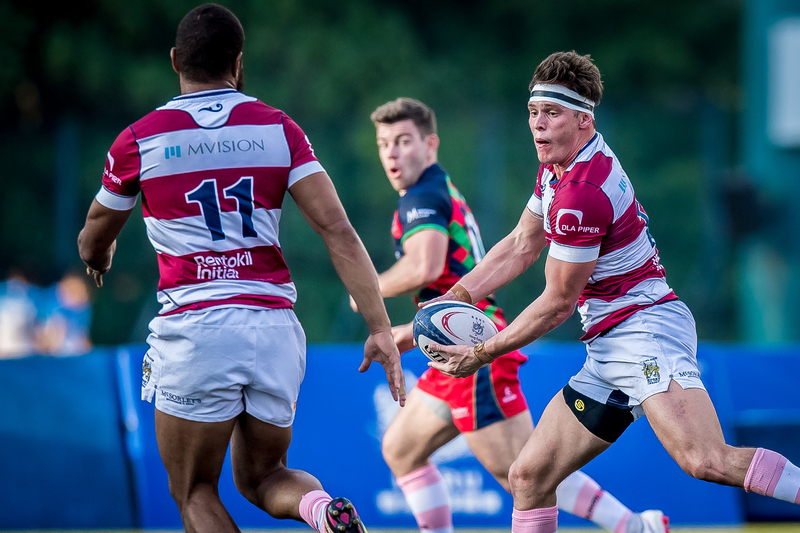 Following Hong Kong’s historic appearance in the Rugby World Cup 2019 repechage in Marseille, action is heating up again on local pitches as the Saxo Capital Markets Premiership resumes this Saturday. 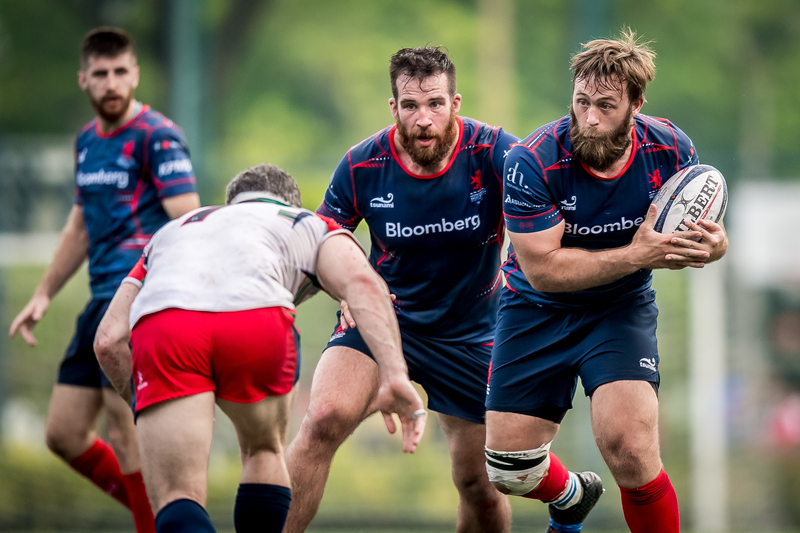 An entertaining slate will see Hong Kong’s international stars return to club duty with league leading Bloomberg Hong Kong Scottish travelling to King’s Park to face bottom ranked Kerry Hotel Kowloon at 16.30. Fourth-ranked Societe Generale Valley host Herbert Smith Freehills Sandy Bay HKU, tied fifth with Kowloon, at Happy Valley 6 at 15.00, while second placed Natixis HKFC hosts Borrelli Walsh USRC Tigers at 18.00 at Sports Road. With five players and coach Craig Hammond in France, Scottish struggled in the intervening Kerry Hotel Kowloon Cup - played amongst Premiership and Premiership A team players remaining in Hong Kong during the repechage, losing both of their pool matches. That includes a 32-29 loss to Kowloon, but Scottish inflicted a heavier wound in the opening round of league action with a 56-14 win in the second week of the season. “They have had about five days off to refresh and are back at training tonight [Thursday], so I’m interested to see the reaction. Club rugby is a different beast to what they were doing and now they are coming back it will be interesting to see how they react. “It is different from what they were doing before November trying to make the squad. But they are good men and good people and I think they are ready to put in another performance for Scottish. “It is essential that they are in the right place to put that performance in. Our guys didn’t play 80 minutes of every game in France, but they were in camp for five weeks, which is taxing. Hopefully, they will be eager to get back and put their club shirts on. “I have talked to each of them individually about whether they are in the right place and whether their heads are in it for Saturday, so we can get back to where we finished after the first round,” said Hammond. Hammond is especially keen to pick up where Scottish left off, considering the Shek Kip Mei club was on a hot streak with four wins from five matches ahead of the repechage. “The hardest thing is the breaks between rounds. It is really hard on the momentum. We have to hit the ground running again this weekend,” Hammond added. While Scottish were experimenting with bench players and U20s talent in the Kerry Hotel Cup, Kowloon was intent on delivering the goods for its sponsor, Kerry Hotel, taking out the Cup in style after running the table over Scottish and Tigers in the pool and Sandy Bay in the final. Hammond understands that his rivals have put their time to good use over the last month. “Kowloon has gone from strength to strength. They won the Kerry and their new guys have really strengthened them up front. Kowloon will take a massive amount of confidence out of that performance. “There really is nothing in the old league this year. Even though we are on top and they are at the bottom, on paper, they have a really good team and have shown in the last couple of weeks that they are starting to put it together. “It’s going to be a good bash about on Saturday. But we are not focusing too much on them. We have to get our set piece right and work hard on both attack and defence. “Now it’s about getting our house in order and getting switched on right away, so hopefully we can carry on from where we left off. “We pretty much have four games in three weeks now leading into Christmas so we have to keep that momentum going,” added Hammond.